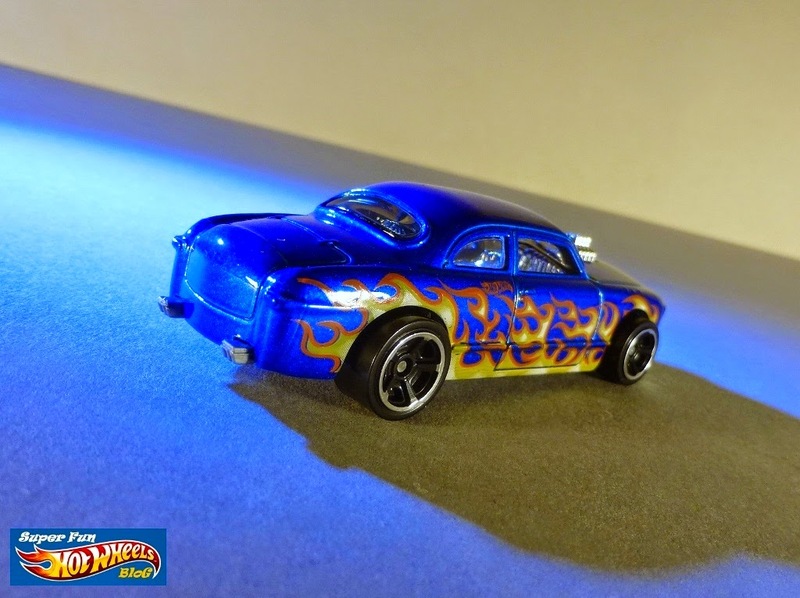 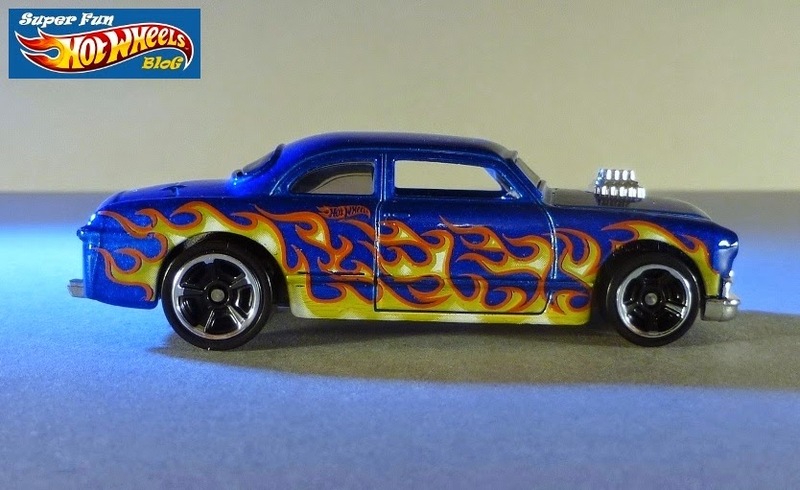 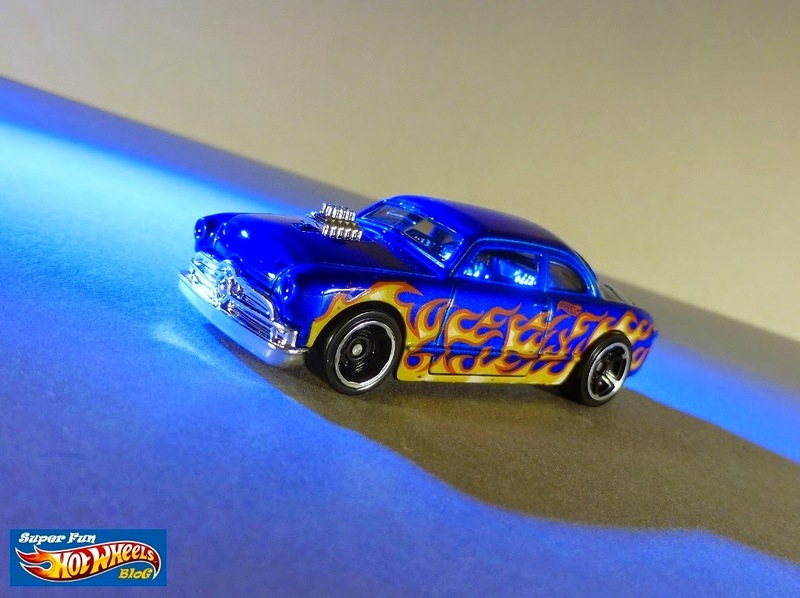 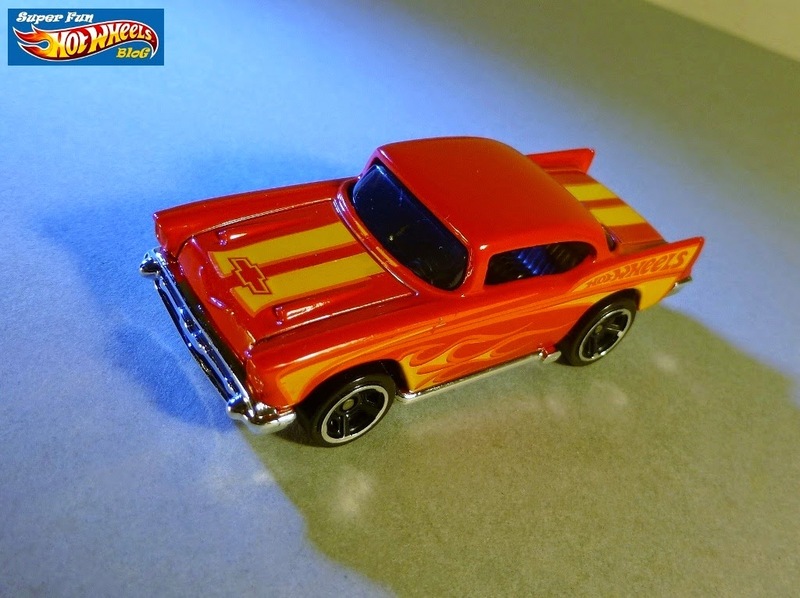 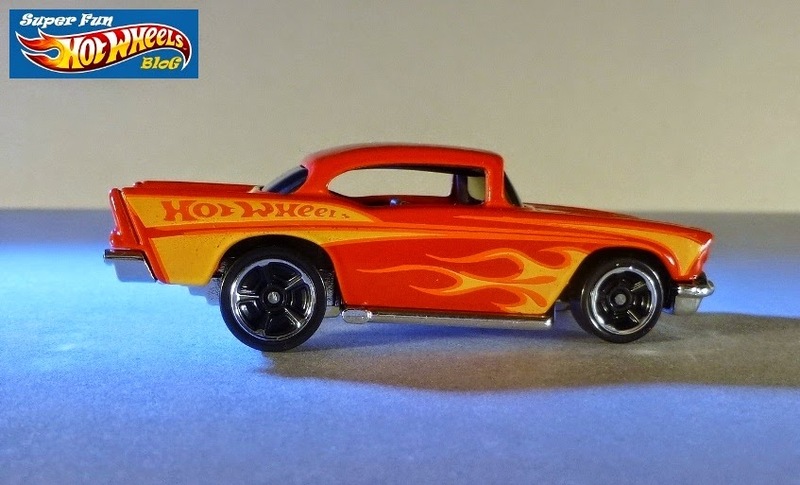 The Shoe Box is based on 1949 Custom Club Coupe, and features an 8-cylinder engine blown through the hood. 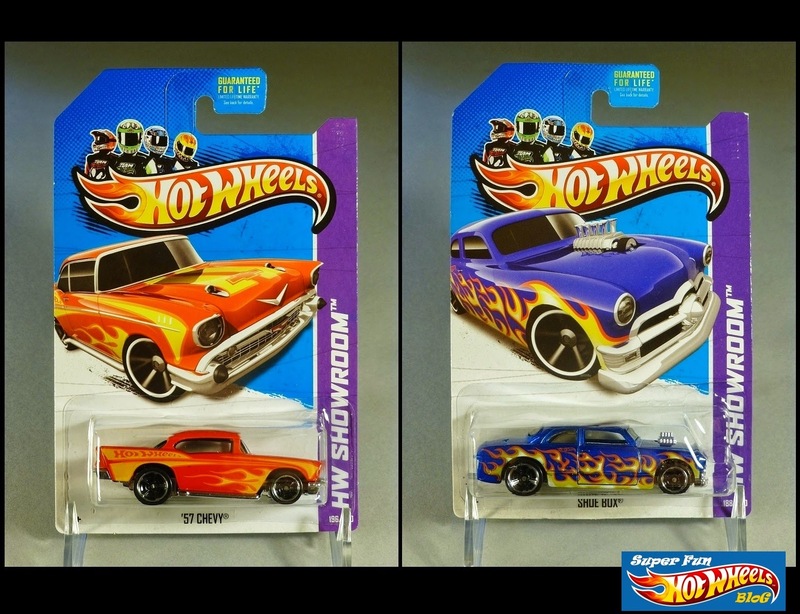 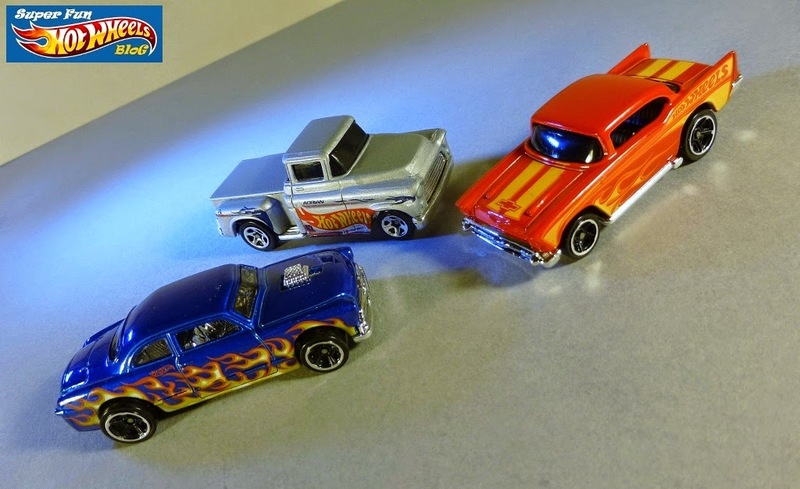 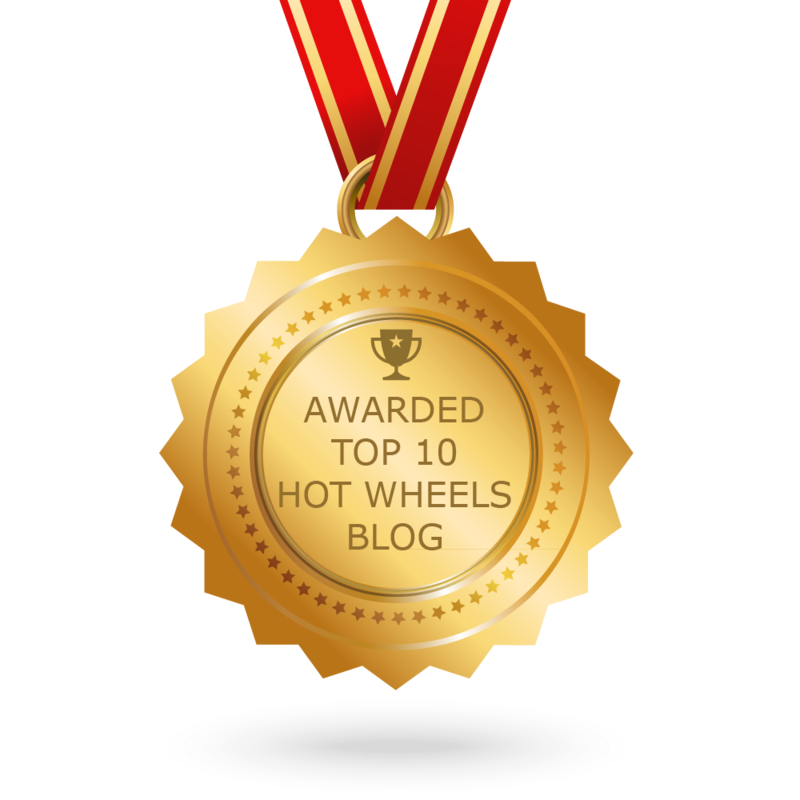 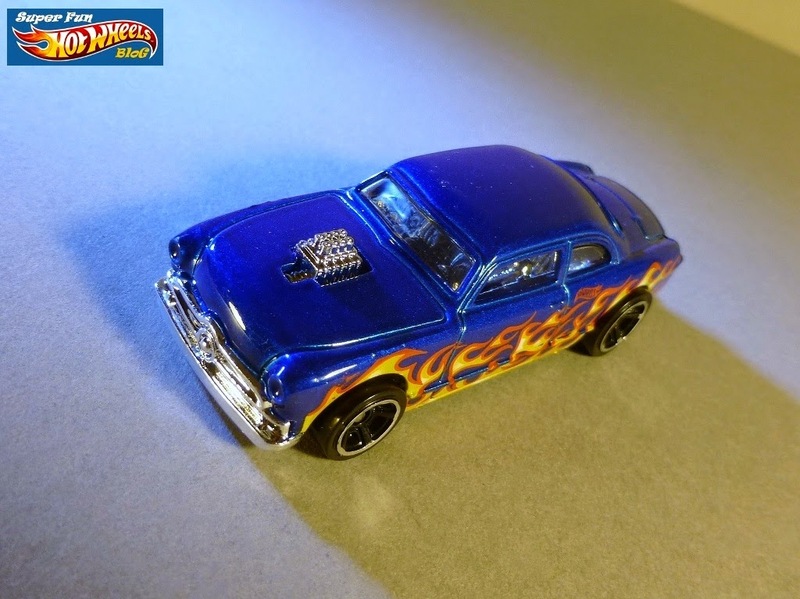 Hot Wheels Wikia only shows the metallic red version of this casting, but I like the way this cobalt variant sets off the flame graphics! 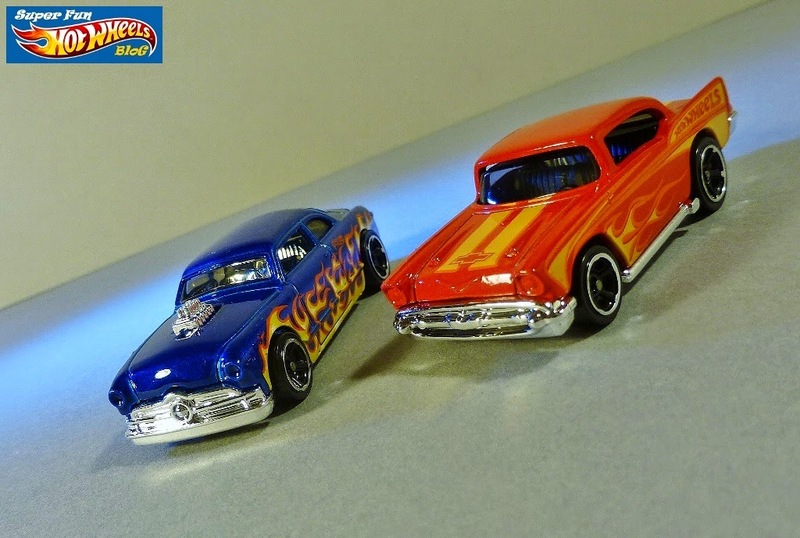 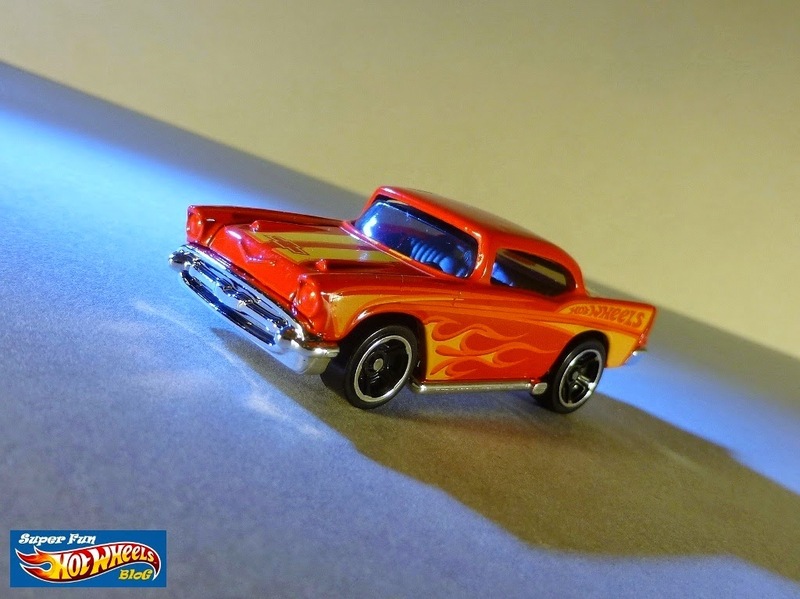 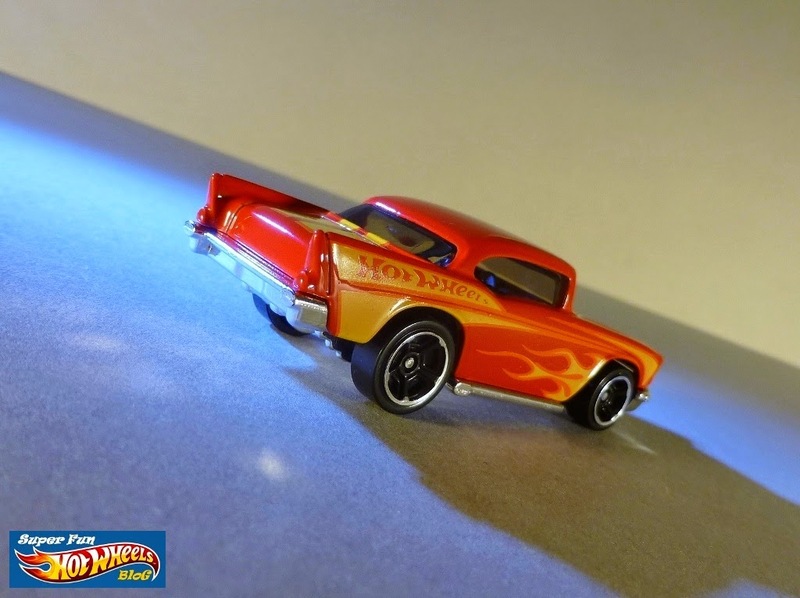 My Race Team '56 Flashsider compliments the classic car looks of the Shoe Box and '57 Chevy quite nicely, wouldn't you agree?